In my search for an alternative smartwatch, I did review the whole internet for the next best thing. The main features I was looking for was battery life time and a good notification system. I don't really care for health tracking data. 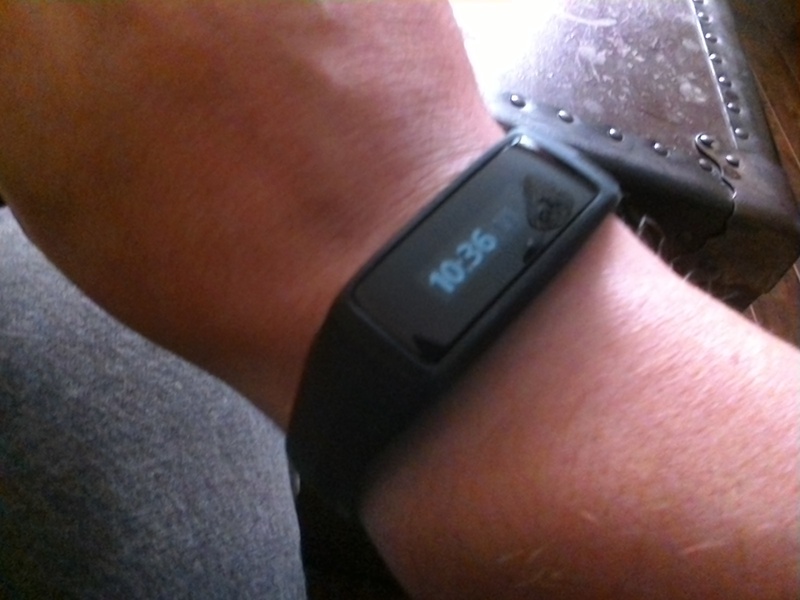 It's nice to know how many steps I did today, but I am more into getting my notifications on my wrist. This got me to think about on how I was using my smartwatch... Basically, I look at the time, read my notifications and that's about it. Even if the Pebble Time can display thousands of watchfaces and supports many apps to play with, the main usage is still looking at the date and time. I finally found the Striiv Fusion Bio 2. As I said earlier, the price became an issue. I actually bought the Fusion 2 for 50$ (CAD) at Best Buy... I did get lucky and got the Fusion Bio 2 instead for the same price. For some strange reason, the package did show the Fusion 2, but the content was actually the Fusion Bio 2 priced at 100$ (CAD). This is mainly a health tracker but it does have some nice features: 30 days battery lifetime, displays all notifications from my iPhone, heath tracking data is a nice and this is a touch interface so no more buttons. The Fusion 2 is small and good looking. It does everything beside heart rate monitoring. Since I was lucky enough to end up with the Fusion Bio 2, I do have also the heart rate monitor. Compared to the Pebble Time, it does lack apps and custom facewatch but it does it's job nicely for a fraction of the cost. For 50$, I still get the time, notifications and alarms. I have a better battery lifetime (5 days to 30 days...).